An introduction to the GFCF diet, and the role it plays in treating Autism Spectrum Disorders. $20 per Individual or $15 per person if you bring a friend! Two names need to be provided when registering and both must attend to receive the discount. Seating limited to 50 – so sign up soon! Denise McMerrick has been a consultant to families with loved ones on the autism spectrum, in the Portland area, since 2007. She has successfully implemented the GFCF diet for her recovering son over the past 5 ½ years, and found it to be a critical healing component. Studying, and living with, the special diets, Denise brings to our community not only the information to understand the GFCF diet… but the practical experience as well. This 1.5 hour lecture is an introduction to the GFCF diet, and the role it plays in treating Autism Spectrum Disorders. The presentation is designed to give parents and caregivers a basic overview of the diet, implementation strategies, trouble-shooting, and clarifying misconceptions surrounding this particular diet. Handouts included, Gift Bag of GFCF Products to take home, a Book Give-A-Way, and more! The lecture is approximately 1 ½ hours. Although aimed at educating parents, the material covered may also be valuable for developmental therapists, educators, medical/dietary practitioners, and anyone who is interested to learn about why many kids on the autism spectrum are on special diets. 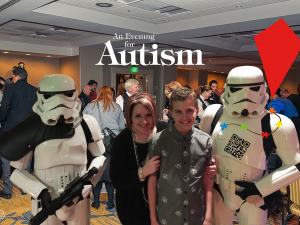 This entry was posted in Autism Activities, Calendar, Food and Cooking, Lecture, News and Updates, Westside Family and Community Center. Bookmark the permalink.